You're an Isabel Allende fan. You like coming of age stories. From Goodreads.com: "Isabel Allende’s latest novel, set in the present day (a new departure for the author), tells the story of a 19-year-old American girl who finds refuge on a remote island off the coast of Chile after falling into a life of drugs, crime, and prostitution. There, in the company of a torture survivor, a lame dog, and other unforgettable characters, Maya Vidal writes her story, which includes pursuit by a gang of assassins, the police, the FBI, and Interpol. In the process, she unveils a terrible family secret, comes to understand the meaning of love and loyalty, and initiates the greatest adventure of her life: the journey into her own soul." Isabel Allende has ranked among my favorite writers for a very long time. I try to read every book that she comes out with. The synopsis of "Maya's Notebook" sounded very interesting to me so I was especially excited to read this book. Now the story line of this book is a little bit different than anything I have read so far by Allende but her characteristic way with words is still very much present and makes this book a joy to read! 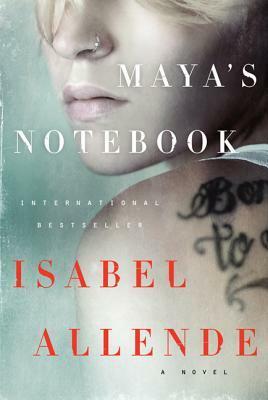 This book is made up of the things that the title character, Maya, writes in one of her notebooks that her beloved grandmother started her writing in. I really, really liked Maya. She is a a fascinating character. I wanted to shake her when she was getting into trouble because she seems so much smarter than that. Allende definitely knows how to make you feel for a character. Maya is definitely a character that you want to follow. She is nineteen but wise beyond her years. She's on the run from the authorities because of some of the bad decisions that she makes. Through this book, we get to see Maya transition from someone who hates where she has ended up and finds the small Chilean town that she is hiding in to be horrible to Maya realizing that there is a lot more to life than she was seeing before she ended up in that small town. Even though she has done all of these bad things and her family is trying to save her by sending her to Chile, she still feels like she is being punished. She eventually realizes that she needs to do better. I didn't think that the writing in this book was as lyrical as some of Allende's other works have been but I think through that, Maya's character really shines through. I definitely enjoyed this book and think it will appeal to new and old Allende fans. Oh, and as an aside, I had a chance to see Ms. Allende speak last night. If you are in the DC area, the National Geographic Museum downtown has a ton of great speakers. This was my first lecture there and I know that I want to go back for more (Buzz Aldrin will be speaking next week and I'm sort of devastated that I can't go to that one). She spoke a great deal about Maya's Notebook, which was very cool. Allende is one of my very favorite writers and it was a dream come true to get to see her. Come back to A Bookish Affair tomorrow for a Literary Locale recap of her lecture. Monday, May 20th: Book Club Classics! I'm glad to see you liked it. I love Allende's historical books, but I'd like to read this one, too. 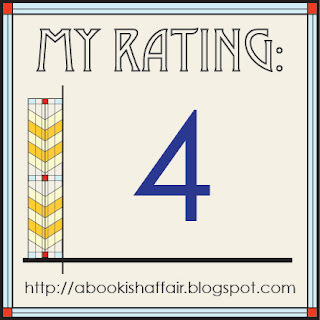 "Isabel Allende has ranked among my favorite writers for a very long time. I try to read every book that she comes out with." Can you believe that Maya's Notebook is my first Allende?? Which other Allende would you recommend for me next?? Enjoyed your review! 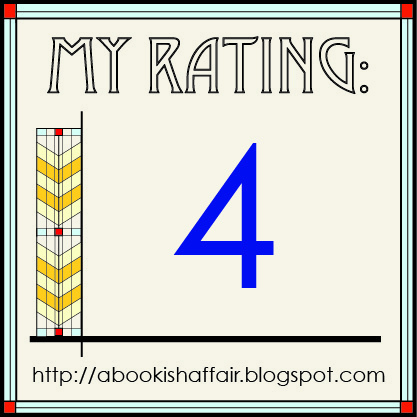 If you like historical fiction, I would try Daughter of Fortune and Portrait in Sepia!